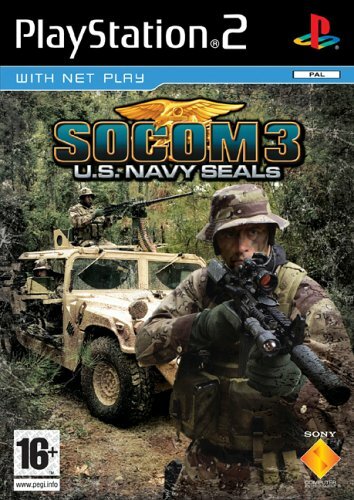 The popular SOCOM series continues in what should be a game that will impress both newcomers and veterans of the title. The latest version carries a swag of goodies on it that will ensure that gamers are spending a great deal of hours being caught up in the adventure that Sony has provided exclusively on the PS2. For those who want an indepth gameplay experience, then this title is for you as there are massive adventures for you to undertake on each level. Once again you are in charge of a four man squad in a world of strife. 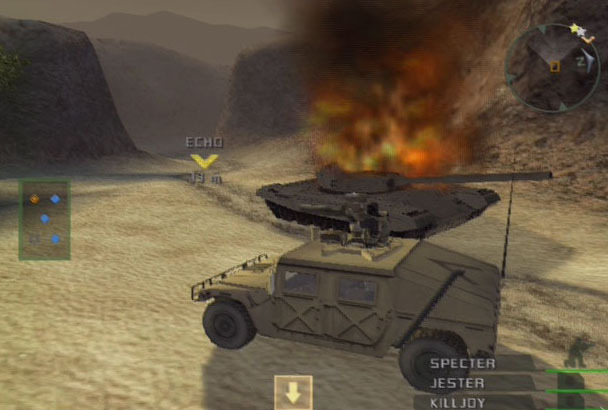 You can control vehicles of all sorts and the missions are quite varied as to what you have to do, ensuring that gamers are simply not going to get bored. 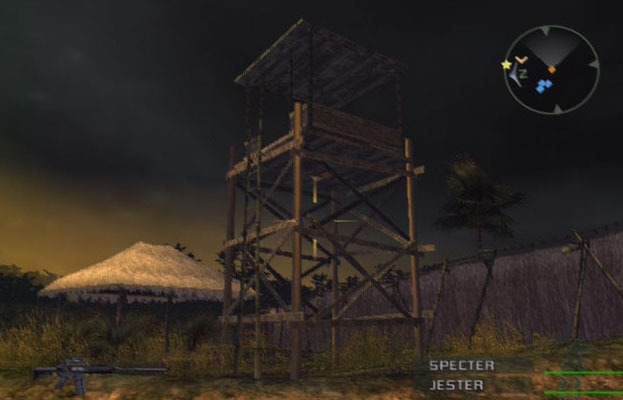 SOCOM also is switched onto the fact that if you are going to have large missions, then make save checkpoints damnit. Lately I’ve reviewed a number of games that are quite difficult with no saves in mission, which is quite frankly ridiculous. SOCOM spaces out it’s saves enough that you are not going to get frustrated if you fail in mission but at the same time they are decently enough spaced that there is definite challenge whilst in combat. Something that has been added to #3 is the ability to swim as a way to get to your objective. Understandably enough, your weapon does not work when submerged, however it is a good quick method of making your way sneakily through the map and rising right in front of your foe and busting a cap. Many of the maps in the game now have river or water terrain, so you will get to make the most of this addition. The title takes you to several hotspots in the world including Africa, Asia and Poland. The environments and the way that you make your way through them in the game are very convincing and the developers have done a great job with the physics engine. Heavy weapons are harder to control when standing up and the damage done by various weapon types keeps the title moving nicely with the allowance for enemy casualties. It keeps you on your toes when the guy you’ve just shot, could very likely get back up and fire back at any moment. Control of the team is available again via either the USB Headset or the controller. I usually found the controller a tad easier to get a faster response, however it certainly adds to the realism of the title when you are barking orders and your CPU team mates respond. At times however some gamers might get annoyed with the response rate or just some of the other silly things that the AI gets up to in the game. Whilst for the most part they are pretty good and dependable, there are times that they stand stunned whilst being pumped full of lead and others that they don’t care that they are shooting right through you to get to the enemy. Finally is the online component where you will find most of your game time spent. SOCOM now boasts a massive 32 player online environment with still the full plethora of weapons and vehicles for you to work your merry mayhem. Online speeds are good (depending on your connection of course), the game handles all the action nicely. Some of the model texture work is muted slightly to allow for a smooth game, but it still looks great and is a fantastic opportunity to still show off your PS2 to someone who thinks it’s all a bit old hat. Working with a team online of human players using Voice is also massively rewarding. Thumbs up for this title. It’s proof that the workhorse still has some surprises for gamers under the bonnet. Care is all that is needed to make a good game and a proper understanding of the capabilities of the console. Make sure you get SOCOM 3, you certainly won’t be disappointed.